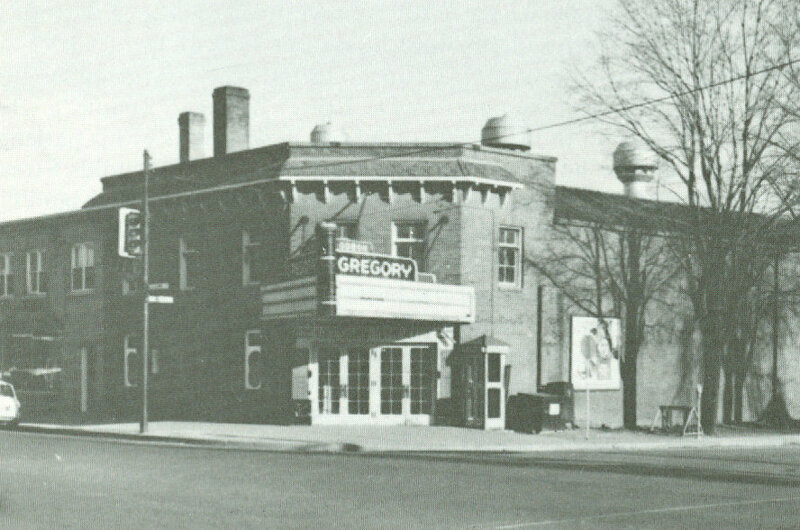 Before movie-goers had choices such as AMC and Famous Players to see the big box office hits, the residents in the Town of Oakville sought entertainment at the Gregory Theatre. 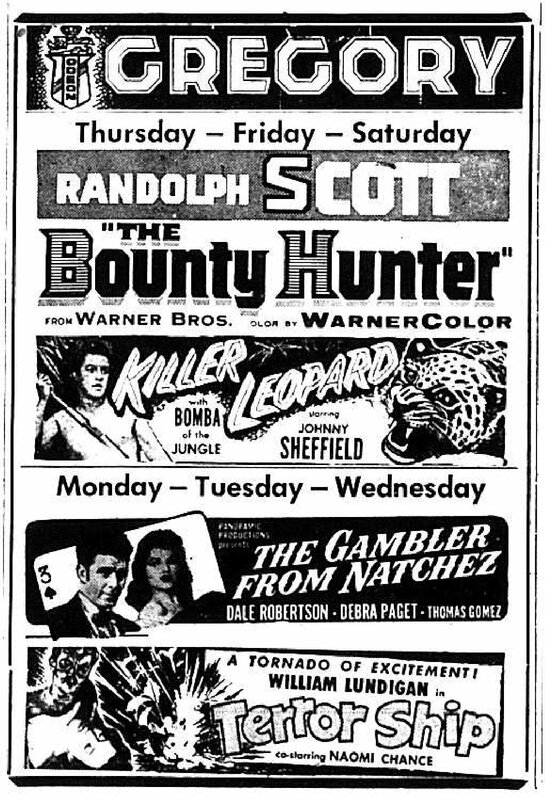 The theatre provided endless entertainment for all, including both feature films of the time and various theatre productions. The theatre used to be housed at the well-known Lakeshore and Trafalgar Roads intersection but was eventually demolished. The space vacated by the demolition is now home to TD Canada Trust. Information credited to: Evans, Gary. The Prints of Oakville: a photographic journey back in time. Burlington, Ont. : North Shore Publishing Inc., 2003. Print. The Gregory Theatre movie lisings of the week. Courtesy of the Oakville Record, 1955.